When you don't have a minute to spare, Nintendo Seconds is always there! Get your daily dose of Nintendo News along with special highlights, interviews and more. Bonus: Why Do We Need Virtual Console? Today, in-game items announced for Octoling 3-pack amiibo, Nintendo gaining traction on mobile, Mario Tennis Aces receives an update, and Ubisoft possibly making another Switch game. Here's my past interview with Thierry Boulanger, co-founder of Sabotage Studio and creative director for The Messenger, an action platformer for the Switch releasing TODAY. We talk about their history, inspiration and more info on their new hit release! Today, Best Buy sale on select Switch games, Dark Souls Remastered gets an official release date, some highlights on the creation of F-Zero GX from Sega, and new releases for this week. Music: World Circuit Theme - Punch-Out!! Today, a Kickstarter game reaches Switch goal, more Mario Tennis Aces content, Best Buy accessory discount, and more words from Reggie. Sorry about the loud P's and B's. Can't wait to record back at home! Today, Reggie gives some deets on the Switch, Super Mario Party to have online features, Octopath to have lots of content, and NieR Automata is a possibility on the Switch. Today, Bill Trinen explains why Smash isn't a port and why Metroid Prime 4 wasn't at E3, results of the Nintendo tournament events, and quick rundown of many Switch announcements. All the information presented within the Nintendo Direct presentation at E3 2018 in a flash! Today, lots of announcements from Limited Run Games, Fox McCloid returns in a surprise, Netflix and YouTube incoming, and other quick announcements. NINTENDO DIRECT SOON! Today, new games have been unveiled for the Switch, release dates have been provided for a few Nindies Showcase games, companies respond to why their games aren't on Switch, and ... Fortnite? The Breakdown - What Wii U Games will Port to Switch? I'm providing the chance to win a free copy of Bloodstained: Curse of the Moon on the Switch. Give a listen! Today, Mario Odyssey gets a new outfit, more info on Team Sonic Racing, Build a Bear announces a new Pokemon plush, and Astro Gaming releases Zelda branded headphones. Today, Bloodstained: Curse of the Moon is out for Switch, Xenoblade Chronicles 2 receives an update tomorrow, Mario Tennis Aces demo is out... sorta, and suggestions on improving the eShop. Today, Best Buy is discontinuing the best gaming discount ever, Resident Evil 7 hits the Switch on the cloud, Octopath Traveler announces the last 2 protagonists, and a 3-day Nintendo competition in the UK. Today, get ready for the Mario Tennis Aces demo tournament, more trademark renewals from Nintendo, a new Limited Run Games physical release, and new releases for this week. I apologize for the low audio volume in this episode. Hope to fix within the next 48 hours! Today, Free Comic Book Day can score you a free ARMS comic, a partnership with Random House for Nintendo books, free Platinum Points on the Donkey Kong website, and fight for your favorite TMNT turtle in the Splatfest today. Today, Nintendo gets a new President, more milestones reached, new Mario Odyssey costume, a tournament-styled Splatfest, and using Toycon for other games. Today, Sonic Mania Plus gets a release date, NPD Sales info for March, Splatoon 2 receives a HUGE update, and new releases this week. I spent some time with Nintendo Labo and had enough to say where I decided to go ahead and shine the Spotlight on this new thing! Today, dbrand releases Switch skins, Octopath Traveler gets lots of merch, physical version of Wolfenstein II requires a download, DK gets a new website, and possible piracy is just around the corner. Today is LABO Day! Also, Limited Run Games has more Switch releases, Platinum Games desires to rerelease The Wonderful 101, and the Splatoon 2 World Championship starts tomorrow. Today, another Splatoon 2 soundtrack was announced, Limited Run Games unveils their next Switch releases, and the Nintendo Treehouse blog on Tumblr you may not have known about. 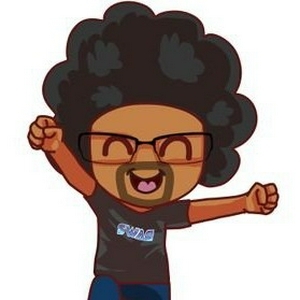 Today, Towerfall is still being worked on for the Switch, a new Wave Race is a possibility, and new releases including LABO! Today, the rerelease of the NES Classic gets closer, Dark Souls Remastered delayed, another Switch software update, and new announcements regarding Octopath Traveler. Today, keep your physical collection up to date through Limited Run Games, a new Sega Ages collection of games coming to Switch, and what's up with Virtual Console? Today, Bethesda continues to show their Switch support, hackers attack, new Switch experiences are being explored, and new releases! Today, the Mega Man X Legacy Collection was officially announced, Ikaruga gets teased, new eShop releases today, and things to come. Today, I say the wrong date. Forgive me for that. Aside from that, Astro Gaming announces a partnership with Nintendo, new games announced for Switch, NIS America doubles down on their support, and I share my personal experience from PAX East. I spoke with Thierry Boulanger, co-founder of Sabotage Studio and creative director for The Messenger, an upcoming action platformer for the Switch. We talk about their history, inspiration and more info on their new release! I had the opportunity to speak with Suda51, founder of Grasshopper Manufacture and creator of the No More Heroes series. We speak about his new game, Travis Strikes Back: No More Heroes, his work on Fatal Frame, and some additional fun questions. I spoke with Alex Rushdy, CEO of 13AM Games, about how he got started and their upcoming Switch release, Double Cross. I spoke with Mike, Word Wizard for Berzerk Studio, about their upcoming Switch release, Just Shapes N Beats. I speak with Ben Archer, co-founder of Bishop Games, about his new and upcoming video game, Light Fall, coming soon to Nintendo Switch. I got the chance to speak with Matt Papa, Localization and Director of Inti Creates. We discuss their upcoming releases, his role within the company, and what the future may hold. Today, I made it to Boston and played through the Alliance Alive demo. Today, a new Switch exclusive announced, new releases, and official information regarding USB charging cables. Today, Rocket League boosts their graphical quality in an update, another episode of the Nintendo Power podcast, and my entry into the Splatoon 2 World Championship. Today, more My Nintendo rewards, a crossover with Bloomingdale's, LEVEL5 commits to the Switch, and PAX East excitement! Today, the official Zelda website has been updated, some games have been updated, Kickstarter cancelled, and many eShop releases. Today, ARMS Global Testpunch is ready for download, Nintendo addresses third-party docks, and a Kickstarter involving Super Mario World. Today, we speak of the Howard Phillips AMA, Metroid potentially joining the Video Game Hall of Fame, free ARMS gameplay, and upcoming Fire Emblem Warriors DLC. Today, we have a quick one for ya! It's the last day for funds on the Wii Shop, a possible Wario Land game coming, and new releases tomorrow. Today, we speak of China getting Wii games on the NVIDIA Shield, new My Nintendo Rewards, and new releases for this week. Today, a world Championship event has been announced, Redbox expands to Switch games, a new eShop sale, and Nintendo facts from GDC. Time for a quick rundown of the indie games that were unveiled on the Nindies Showcase along with some added info about the developers. So I've been playing the Demo for Radiant Historia on the 3DS and well... WHERE HAVE I BEEN?! An expansion to Sonic Mania has been announced, third-party docks are killing Switch consoles and last call for Wii Shop Channel purchases. Today, we speak of a new Nindies Showcase announced, more suggested demos, and the most desired franchises for the Switch. Today, we speak of a newly unveiled Nintendo Labo mode, new releases and Pocket Camp's first fishing tournament! Today, we speak of Switch getting a new update, a survey of games on look forward to, and demos you may not have known about. Today, we talk of a potential Switch update coming soon, the worst port currently on the Switch, and a way to play while you lay. The Breakdown: Will Smash be a Port or Brand New? Let's go in-depth regarding whether the newly announced Super Smash Bros on the Switch will be a port or a brand new entry in the series. Let's summarize the awesome Nintendo Direct we just saw! Today, we mention a new Nintendo patent, random threat from Platinum Games and an upcoming Nintendo Direct summary. OMG A NEW NINTENDO DIRECT! Ahem... Today, we will speak of the Nintendo Direct announced for tomorrow and some predictions, potential leaks, and hopes for what will be announced. Today, we speak to the multiple rumors of Diablo 3 coming to Switch and how the internet is unhappy with the new My Nintendo rewards program. Today, we speak about some changes to the My Nintendo rewards system, the new Kirby demo, tweet teasing, and games on sale this week. Today, we speak of the Switch's first birthday, a Switch Glitch, and my personal Top 5 games for the Switch's first year. Today's episode of the Daily consists of an official Nintendo podcast, NIS America data breach, and how you can share feedback with us. And a cheesy outro. We have named our daily updates simply, The Daily. Today, we bring news of the Nintendo.com Reviews, recent releases, a My Nintendo reminder, and some trivia! Had a problem with adding background music, which we hope to fix tomorrow! Today, we bring you news of a new mobile game, Metacritic Publisher Rankings and an eShop suggestion. Enjoy! When new ideas sprout, they don't grow unless they are put into action. So let's make a test, shall we? 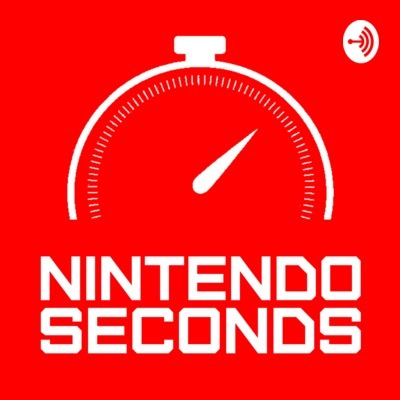 Welcome to Nintendo Seconds!